The team at dnata Australia handles 27,000 flights and 5.5 million passengers each year through its ground-handling and cargo and logistics services. According to CEO Daniela Marsilli, most Australian airline passengers will be greeted at check-in by dnata staff, but the company also assists passengers in ways they don’t see. It takes care of ramp handling, baggage handling, aircraft cleaning and a range of other services to ensure deadlines are met in a safe and timely manner. The second core product that dnata provides is for the cargo market, servicing airlines as well as global and Australian freight-forwarding companies. The company provides a wide range of load-control and flight-operations services. In addition, its Alpha Flight Group provides catering services to more than 30 different airlines operating in Australia. dnata has a presence at 10 airports around Australia, including the seven major cities. dnata has a presence at 10 airports around Australia, including the seven major cities. The company works closely with the airports, getting to know their operations and clients in order to cater for the various airlines’ needs. There are opportunities to partner with airlines in a variety of ways. For example, dnata assists international carriers that do not have check-in staff in Australia, such as Qatar Airlines and Singapore Airlines. dnata staff can wear the carriers’ uniforms and provide a face for the company. “At the end of the day, our model is about delighting our customers’ customer. dnata is trusted with the brands of different airlines to service their customers and passengers, whether it be at check-in or ensuring their baggage arrives when they get to their final destination, or whether it is the cargo movements. 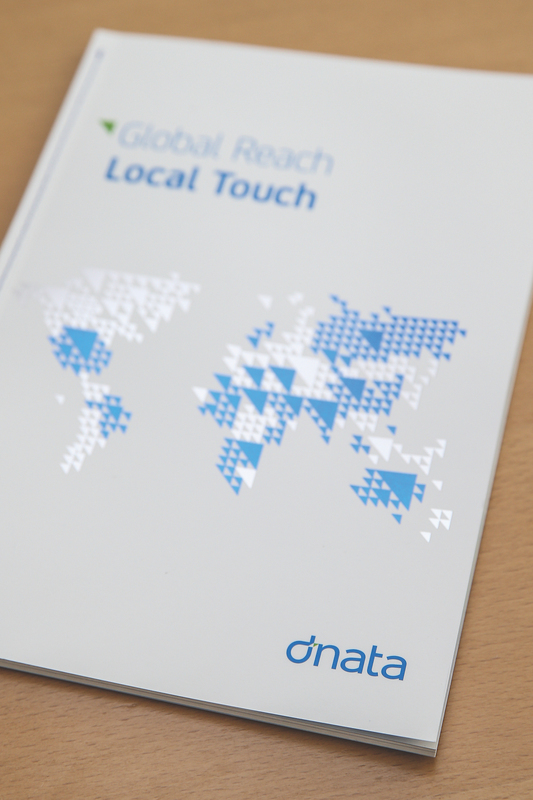 It is a big call for airlines to entrust dnata with their brands,” Daniela says. To ensure it delivers on the promises made by its airline clients, dnata has about 1,800 highly trained employees focused on customer service. Those employees come from a range of cultural backgrounds, which is a necessity when dealing with passengers from all over the world. Daniela says working with this culturally diverse workforce is one of the best parts of her job. Although Daniela says the company prizes quality above quantity, that doesn’t mean there’s no room for growth. The motivated team at dnata wants to expand into different areas within the ground-handling and cargo and logistics arms of the business.